Missouri Governor Jay Nixon (D) has announced that he’ll appoint Harry Bozoian as the new DNR Director, effective Friday. Nixon spokesman Scott Holste tells Missourinet Bozoian is a senior policy advisor to the Governor and has served as the lead official for Missouri on issues concerning the Mississippi and Missouri rivers. “Harry Bozoian has a tremendous amount of experience and knowledge in environmental areas that really will help serve the people of Missouri well in this position,” Holste says. Bozoian will replace Sara Parker Pauley, who’s been named as the new Missouri Department of Conservation Director. DNR is responsible for preserving the quality of Missouri’s air, water and land. 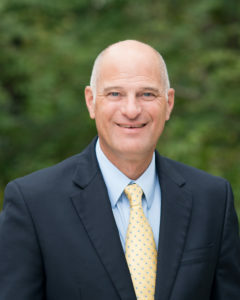 Bozoian has also previously served as both Missouri Department of Agriculture Acting Director and Deputy Director. During the 2011 flood, Governor Nixon appointed Bozoian to assist farmers and levee districts in the rehabilitation of their farms and levees. Bozoian operates a 536-acre row crop and hay farm in northeast Missouri’s Monroe County, as well as an 80-acre farm in north central Missouri’s Chariton County.